I am one of those people that makes lists, about which lists to make. Yeah, it's like that. So when I imagine myself being whisked away to destinations like Santorini, Panama City Beach, or Saint-Tropez, I am always thrilled, but especially excited to be able to make another list! Sunscreen; It's no secret that I have fair skin, and wanting to protect that is a daily to-do. Rocking sunscreen can protect your skin from the harsh sun, slow down the aging process, and help the overall texture and appearance of your skin. Alright, I'm off of my soap box, just wear your sunscreen please. Being prepared for whatever a getaway throws at you is all part of the art of packing, I always makes sure to bring a bag that is adorable yet durable, and comfortable yet versatile. My FJällräven Kånken backpack is waterproof, fits everything that I could need, and handles sand at the beach like a champ. Check out their vast color selection! If I haven't blabbed about it enough, I'm currently learning French. In my bag, you're sure to find one of my favorite French magazines, Côté Sud Maison. Build up your vocab, brush up on adjectives, and practice a few grammar rules all whilst reading about a vineyard in the south of France, the sweeping plains of Tuscany, or a mid century modern haven. My camera is basically an extension of me at this point, I've even had people ask me, "so, do you always carry that around? ", yes, why yes I do. I use this camera here, with this lens, and am always ready to snap away! It's something that I'm super passionate about, and I love being the person in the family that gets to capture moments of authentic laughter, silly dance moves, and couples canoodling! Whether I'm at the beach, mid-flight, or just about to lie down for bed, I always like having a luxurious oil with me. My oil of choice is this one, it's make a great leave-in conditioner, cuticle treatment, and when popped on the cheek bones, gives me a natural glow. Multitasking products are heaven sent, especially when it comes to travelling! 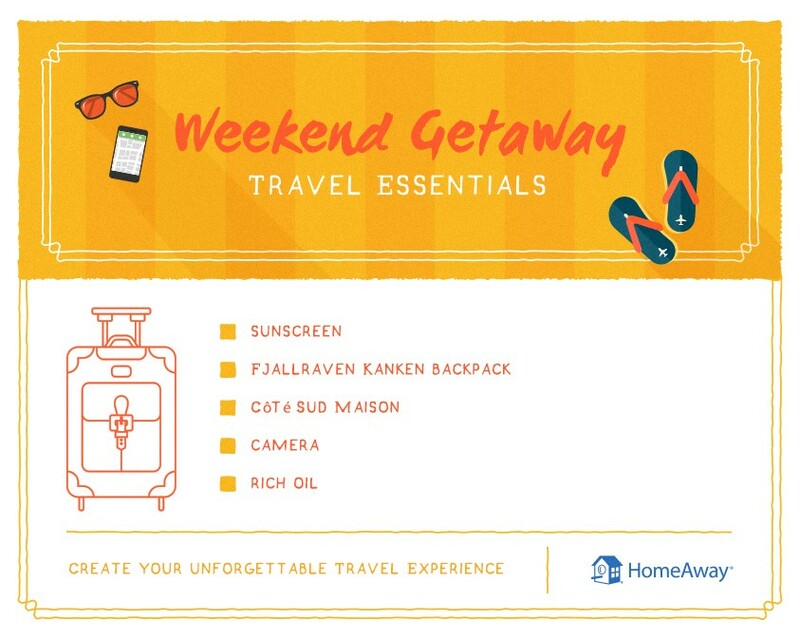 What are some of your getaway items that you just can't travel without?